Criterium Bike Race Photo Safari! 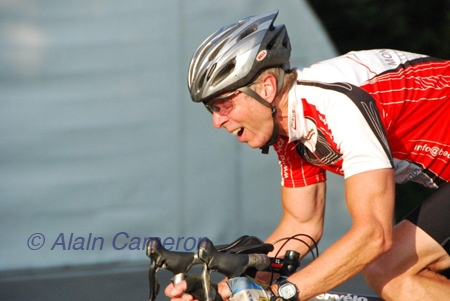 Join us for a photo safari to explore the speed and excitement of a criterium bike race. Capture riders in motion, discover the creative applications of speed, and have fun! Meet new friends. Learn some photo tips! We spend two hours capturing the riders from different angles and locations. Bring any camera - from point and shoot to high tech SLR. You may bring a tripod and flash - but they are not necessary. The group (maximum 15 people) explores the competition of a criterium race and the riders' effort to gain position and push the limits of speed. We will shoot the race from different angles and locations to give participants a chance to develop their photo skills. You can expect to walk 2-3 km over the evening. Top photos will be featured on the blog at HarryNowell.com. 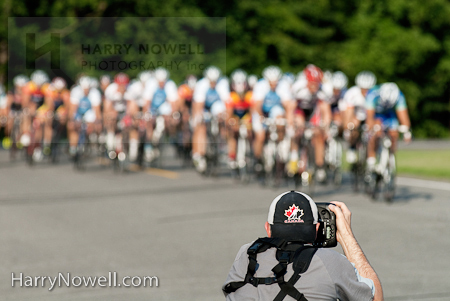 See last year's bike race photo safari on the blog. Photo © Alain C from last year's safari! On a safari the emphasis is on fun and friends with some photo guidance and tips included. On a workshop the emphasis is on learing specific photo skills. Fun is always included. "Is this a digital or film session?" It is a fun photography session - about exploring with your camera. Do not worry about your equipment - all you need is a camera and a smile - "point and shoot" cameras are fine for this event.